Is There a Link between Traumatic Brain Injury and Aggressive Driving? 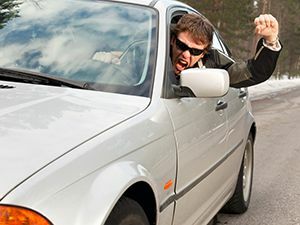 A new study published in Accident Analysis and Prevention suggests a higher incidence of road rage amongst drivers who have suffered traumatic brain injuries (TBI). Study participants who have suffered one or more TBI report far more aggressive driving incidents compared to drivers who have not experienced such an injury. Aggressive driving events include threatening harm to other drivers and passengers. If you’re the victim of a road rage incident, consider reaching out to our team of auto accident attorneys in Tulsa. Approximately 4,000 individuals between the ages of 18 and 97 were interviewed via phone for the study. This group is also at a higher risk for involvement in an automobile accident causing injury to themselves, others or property. The study defines a traumatic brain injury as head trauma causing at least five minutes of unconsciousness, or the need for an overnight hospital stay. Data shows that a large number of drivers have experienced a traumatic brain injury, indicating the need to study how such a trauma affects ones driving behaviors. Gaining an understanding of this could be used to advance traffic safety. Mental health and substance use is associated with aggressive driving and road rage. These factors have also been linked to occurrences and consequences of TBI. This common link led researchers to investigate if aggressive driving and traffic accidents could also be linked directly to traumatic brain injuries. These early findings are not enough to determine a causal relationship between TBI and aggressive driving. Due to the high number of drivers with traumatic brain injuries, it is necessary to examine how such injuries affect the cognitive processes utilized when driving, such as focus and attention span. The study data also indicates the need for rehabilitation and screening for drivers suffering from TBI. The Edwards Law Firm is dedicated to pursuing justice for victims of aggressive driving accidents. Contact our office today to speak with a personal injury attorney about your claim.